Florida Atlantic University student members of Tau Beta Pi (TBP), the Engineering Honor Society’s Florida Epsilon chapter, will host a science, technology, engineering and mathematics (STEM) program called MindSET with Pine Crest School’s fifth grade science students on the Fort Lauderdale campus beginning Friday, Oct. 25. The program will continue throughout the school year. 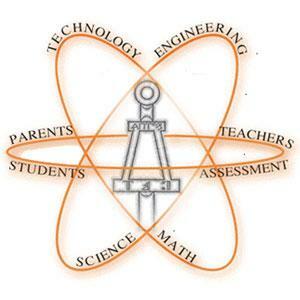 The MindSET program is a national initiative designed to get K-12 students interested in careers in the STEM disciplines. The program focuses on teacher development; parent development; student development and MindSET results. Teacher development emphasizes hands-on projects that reinforce concepts already taught in the classroom. The K-12 schools interested in the program select training dates and TBP student representatives organize and fund the training sessions. MindSET volunteers also conduct free workshops for parents to help educate them on how to help their child succeed in the classroom. Students learn about STEM concepts through lab sessions using modules that include activities such as building a bridge, designing a catapult and making a water bottle rocket. Students’ progress is tracked through MindSET to ensure that the program is achieving its goals. The FAU TBP student volunteers for the Pine Crest event include civil engineer Jonathan Murphy, ocean engineers Stewart Baskin and Rebecca Pietrovich, and electrical engineers Luis Cortes and Sadrac Blanc. New fall 2013 inductees to the society also have an opportunity to volunteer for the event. The FAU TBP Florida Epsilon chapter has been providing MindSET events since 2006 and plan on additional events this year at West Technical Education Center in Belle Glade and the JFK Medical Center Charter school in Lake Worth. The society was awarded the FAU Student Program of the Year in 2012. Membership in TBP is by invitation once the organization’s qualifications have been met. Junior students must be in the top eighth of their class, senior and graduate students must be in the top fifth of their class, alumni must have graduated in the top fifth of their class and practicing engineers must have achieved eminence in engineering as determined by the organization headquarters. Interested members must also have participated in six hours of a TBP service project, polished the TBP emblem called the “Bent”, attend the orientation meeting, attend the induction ceremony and pay the organization dues. For more information about the FAU TBP MindSET program, contact the FAU TBP Florida Epsilon chapter at tbpfle@gmail.com.